Please help me welcome Pam Hillman to A Bed of Roses…. When I first visited Ginger’s blog, I looked at that beautiful red rose that covered 90% of my computer screen, and I sighed with pleasure. Just the sight of it brought me joy and I literally felt my blood pressure drop a couple of notches. We’ve just come off the merry-go-round of the Christmas season that is the busiest time of year for most of us. Yes, I love Christmas, love spending time with family, love celebrating our dear Savior’s birth, but we can only take so much excitement, so much running from pillar to post, from here to there, home to church, family event to business dinners before….we really get the urge to <i>stop</i> and smell the roses. And I couldn’t think of a better place than Ginger’s blog to do that! I’m immersed in the world of writers, authors, drama queens and artsy types, and seems like we are always on the go, burning the candle at both ends. Even when I decided on a topic for this blog, my fingers started flying, thoughts began to jockey for position in my brain, my eyes darted back and forth across the page, while I made notes about the graphics I wanted to display… Sheesh! I can’t even put together a blog post without feeling like I’m on a roller-coaster. So, for today, for Ginger’s gorgeous rose-themed blog, I’m making a deliberate effort to s.l.o.w. d.o.w.n. I will take time to smell the roses, enjoy life, enjoy my family, enjoy reading, and writing. …relaxing and reading a good book. …spending time with my husband. …talking to my kids more. …going out to lunch with my mother. …making this post SHORT so you can go and do likewise! Enjoy your day and stop and smell the roses. Today, January 2nd marks the official launch of Pam’s Blog Tour Blowout to celebrate the release of her new book from Tyndale House, Claiming Mariah. We’re officially blowing the doors off the Prize Vault today! Update: My blog post on Southern Writers Magazine’s Suite T has been re-scheduled. Sorry for the mis-communication. But please visit Suite T for a wonderful post on Planning by Susan Sleeman. Ginger, thank you so much for inviting me to visit your blog. Before I leave, I’d like to let your readers know that the Prize Vault is Open! 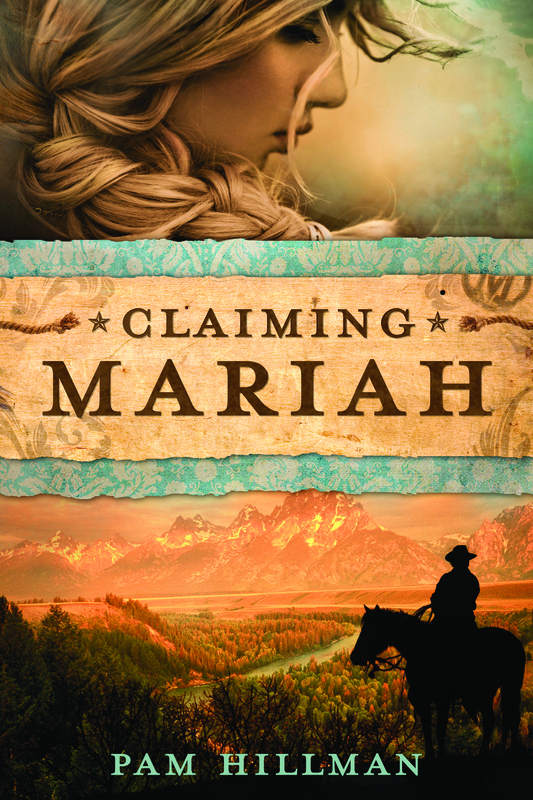 I’ll be giving away 2 copies of Claiming Mariah on January 5th. Click here to be included in the drawing.